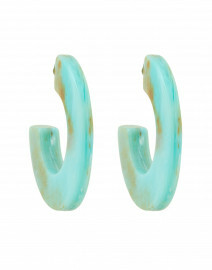 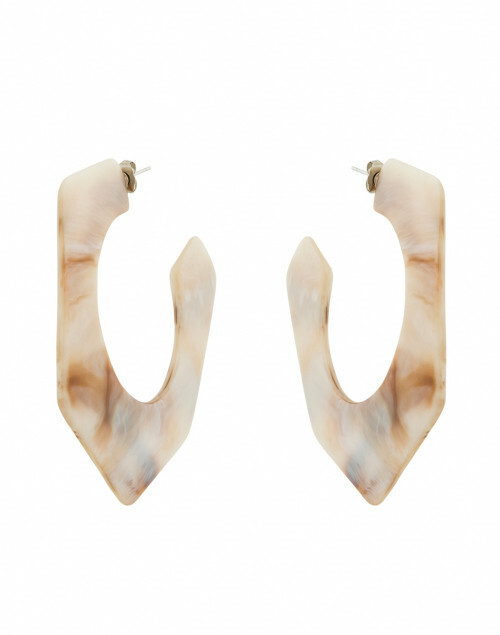 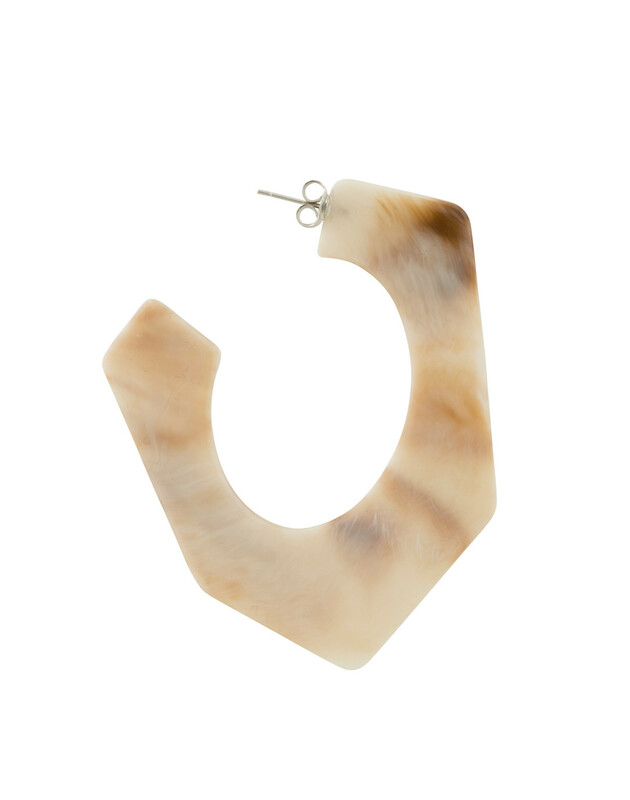 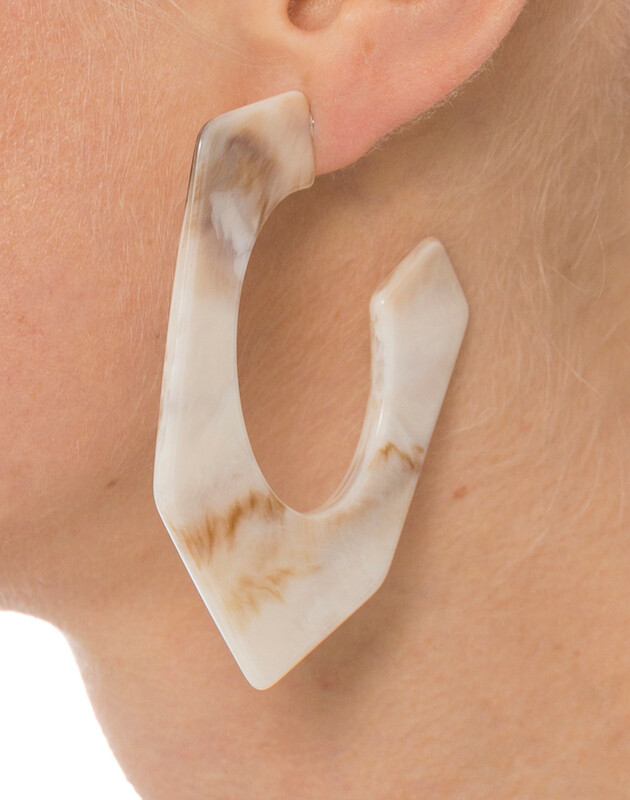 Pono by Joan Goodman’s contemporary and playful aesthetic is showcased in these biscuit ivory Greta earrings. 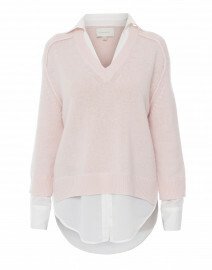 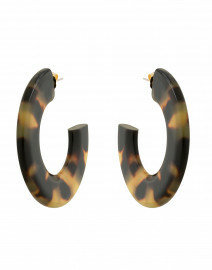 Made in Italy, this style masterfully combines a mix of colors and geometric design. 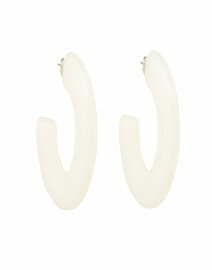 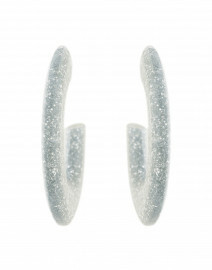 Light as feather, these hoops will add a layer of interest to your casual looks.